Shoveling out your yard after a snowfall isn’t exactly a chore many people look forward to. 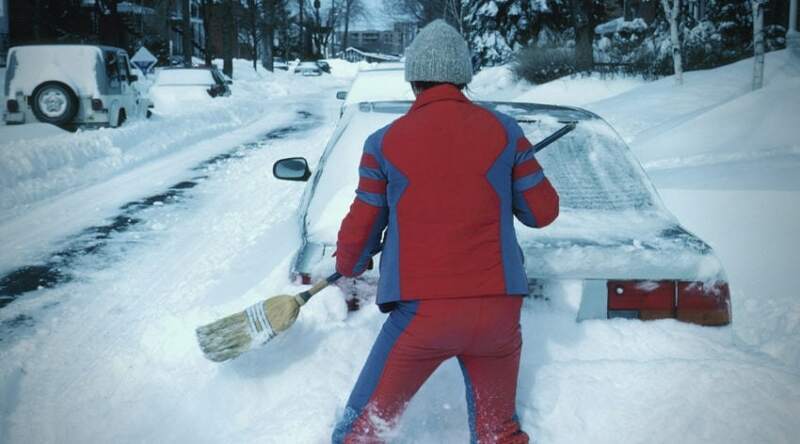 Unfortunately regular snow removal is a necessity in climates that have steady precipitation through the winter months. However this doesn’t have to be an arduous process if you have invested in a snow blower or any sort. 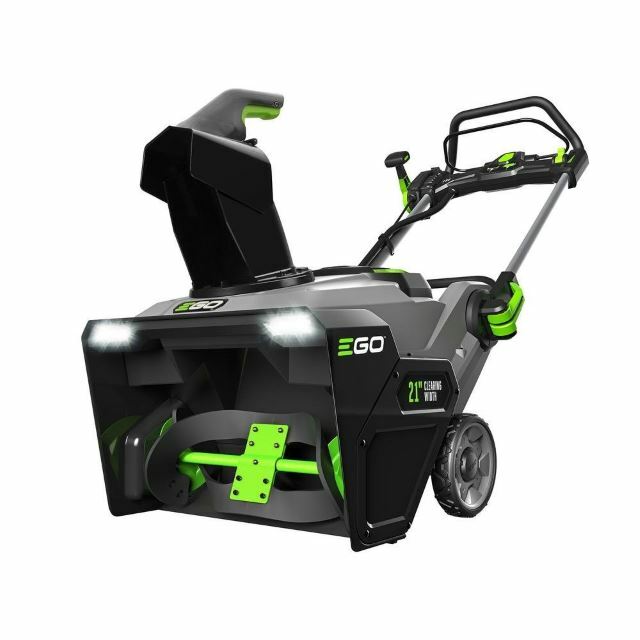 EGO Snow Blower reviews reveal a powerful, single-stage electric option that has consumers powering through snowfall with ease and cutting their snow removal times by more than half. 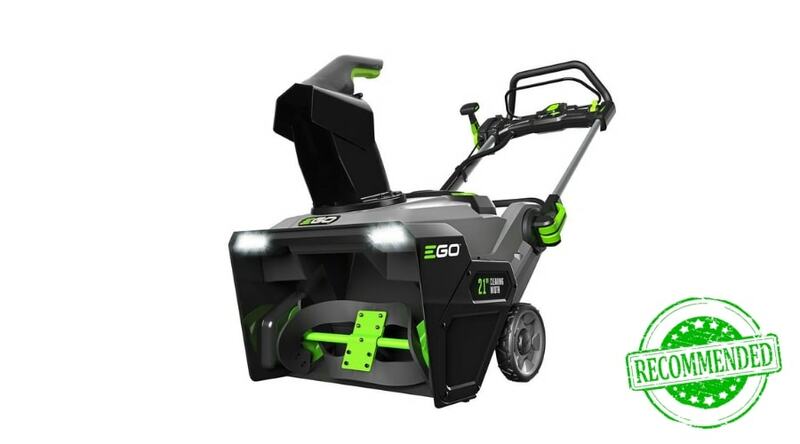 Completely cordless, these machines can run for more than an hour on the EGO power batteries, and are considered the most powerful electric snow blower option in the current market. 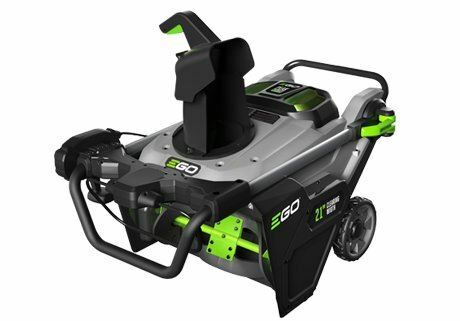 The EGO Company has spent the last decade creating a reliable, industry leading battery POWER + Platform system that creates interchangeable, cordless outdoor power equipment. 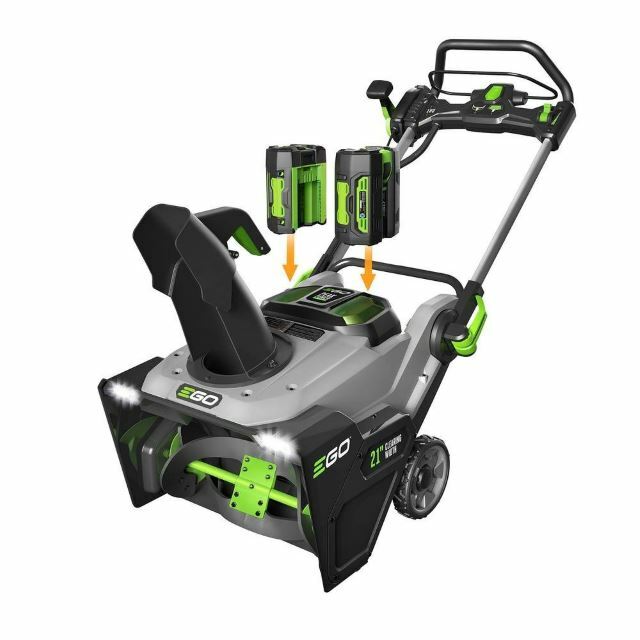 From chainsaws to lawnmowers, the newest addition to take advantage of their compatible product design is the Snow Blower SNT2100 model that uses 2 lithium batteries for over an hour of run time. Considered as powerful as a comparable gas engine, single stage blower, this is a product that has been quickly gaining ground as new, innovative technology. 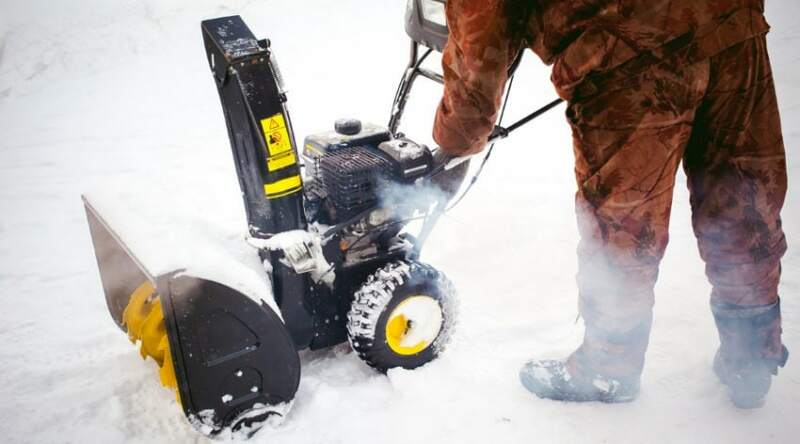 As a single stage snow blower, this machine is built to handle low to moderate snow falls up to 8 inches or less, and is designed for lighter, rather than heavier, wet snow. Despite this, it does seem capable of handling more more than the specifications call for, but this does affect the length of battery life. Single stage blowers are also made for smooth pavement, and not gravel or uneven surfaces, plus it is able to leave a cleared, smooth path behind without leaving a layer of snow. Electric motors can be incredibly powerful compared to a gas powered motor, IF you can create the electrical power required to support such a design. Despite this, electric power is very dependable when directly run from a power source, or with a high output lithium battery- such as the one created by the EGO Company. 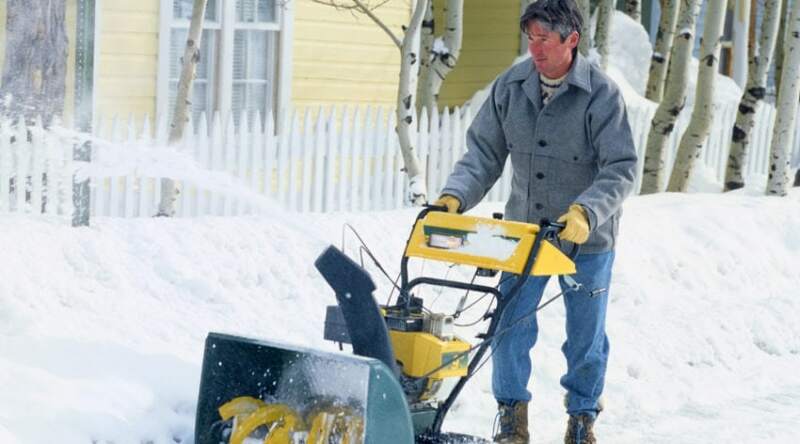 Brushless motors have a have a high power to weight ratio, and a high speed, making it a powerful tool capable of handling of a snow blower’s workload. 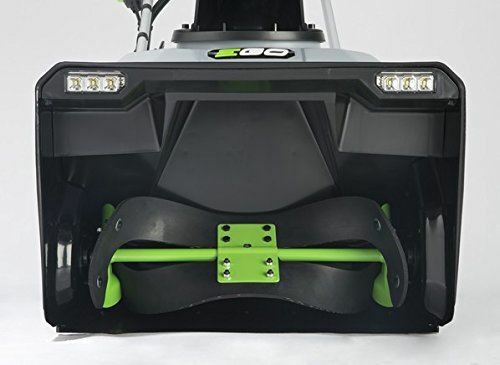 This lightweight design (the entire blower only weighs a mere 70 pounds) allows the batteries from becoming overtaxed and energy to be more efficiently used by the motor itself to complete the snow blowing job it is designed for. You can purchase the blower either with or without the rapid charger and battery set up if you are already an owner of EGO tools. This battery compatibility makes the entire system much more energy efficient, and saves on storage. The rapid charger is their fastest charging model with an average charge time of 40 minutes per battery- with the fastest charge taking only 30 minutes. It can only handle one battery at a time. Since this is a powerful tool, it does require 2 of their larger amp batteries, of which you can choose between the 5 or 7.5Ah batteries depending on the size of the job you need done. These batteries are capable of holding a charge for for an hour or more in ideal snow blower conditions (i.e. those specific to single stage designs). Although they can manage to power through heavier snowfalls, they will drain more quickly. As a true cordless product, it has an easy, push button start that starts the first time, every time. No more having to plug your machine in to recharge an easy start button, or wrenching your shoulder having to pull a cord. The 21 inch wide intake housing can handle snow up to 8 inches in height. This is an industry average single stage width in order to keep the motor from becoming overpowered by too large a snow intake. This is efficient for small to moderate snow falls, and when combined with a powerful auger you can make short work of snow clearance. Single stage blowers are driven by the movement of the auger, and generally only has one speed. This particular model has a variable auger speed control to help determine how far you throw the snow. This also helps control how quickly you move through your job, and when combined with the adjustable chute, you have optimum control over snow removal. Single stage blowers are popular due to their more compact, powerful size that can not only handle the snowfall they are made for, but also store and transport much easier than larger models. Being completely electric, and with a lightweight brushless motor, this is not only an extremely light machine, but it is also very compact due to its folding handles. With snow machines only used during a very specific time of year, many times their storage can become problematic. EGO has made this model that much more easy to store through the warmer months. And since it does not have a gas powered engine, maintenance is as simple as removing the batteries and tucking it away until it is needed again. No oil or gas to drain, or engine parts to clean come the following season. 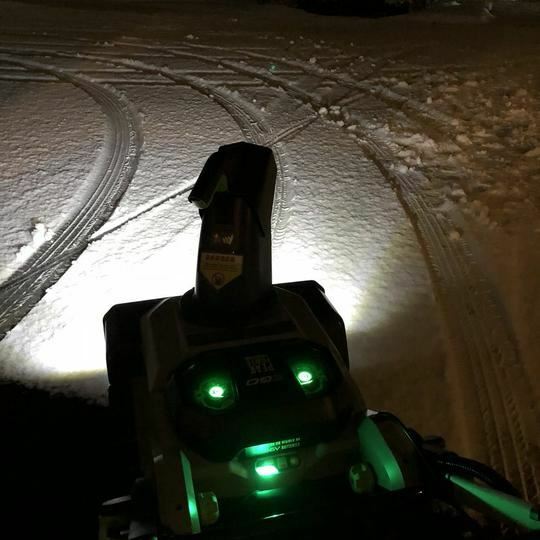 Many single stage blowers do not have forward facing lights to work through darkened conditions, but the EGO snowblower includes 2 high powered LED lights to help you work in any condition, day and night. Since the weather doesn’t always work according to your schedule, combined with short winter days, these lights can come in handy! 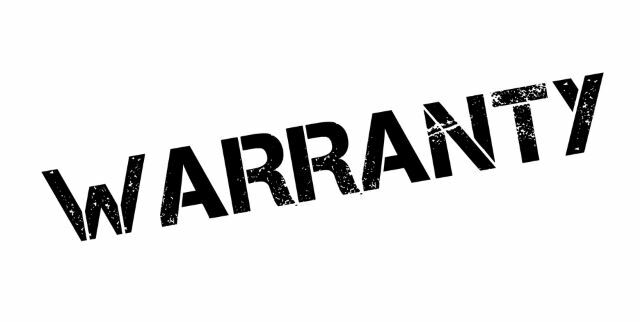 With a hefty 5 year parts and replacement warranty, this is a pretty generous offer that includes coverage of all parts considered defective. Battery packs are also covered for a full 3 years. Since these machines are sold through third party businesses, always be sure to look into their policies concerning coverage as well. 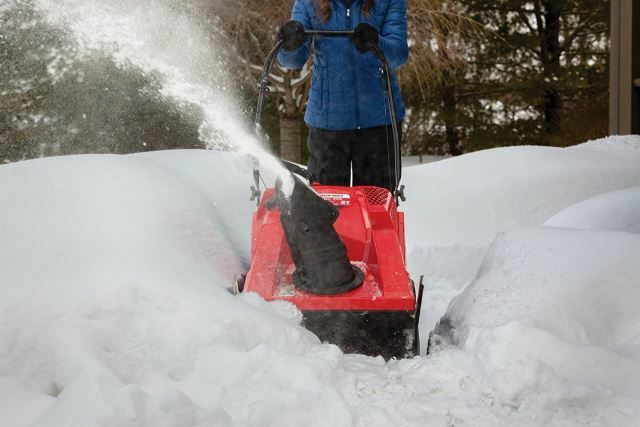 As mentioned, the EGO snow blower, despite being a fairly new product, has been gathering quite a few positive reviews. 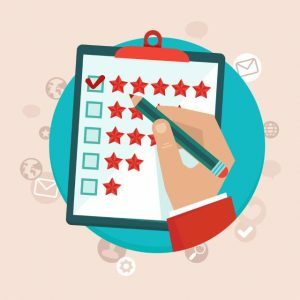 The ease of use, maneuverability, and storage all top the list of likes- but most surprisingly is the many consumers who make mention of how surprised they have been of the overall power capabilities. Although rated for up to 8 inches of snow, new, light snowfall up to 15 inches have been easily cleared by happy consumers. The battery also lasts well over an hour in ideal 3 to 8 inch light snowfall conditions, and easy clearance of large properties has not been a problem. 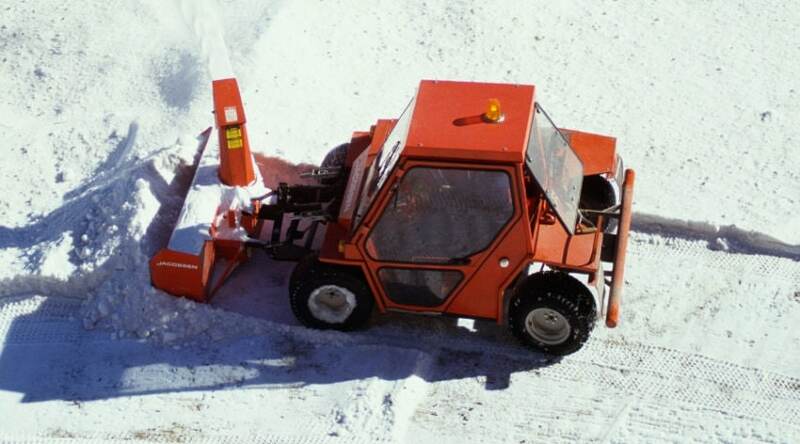 Complaints are specific to use in heavier snowfall conditions, or due to problems with the machine itself. The only consistent complaint is how easily the blades wear down as they brush along the ground surface for a clean clearance. They are inexpensive and easy to replace, but it is a slightly added expense and inconvenience. Areas of regular light to moderate snowfall can definitely benefit from the time and energy you will save with the purchase of a single stage blower. 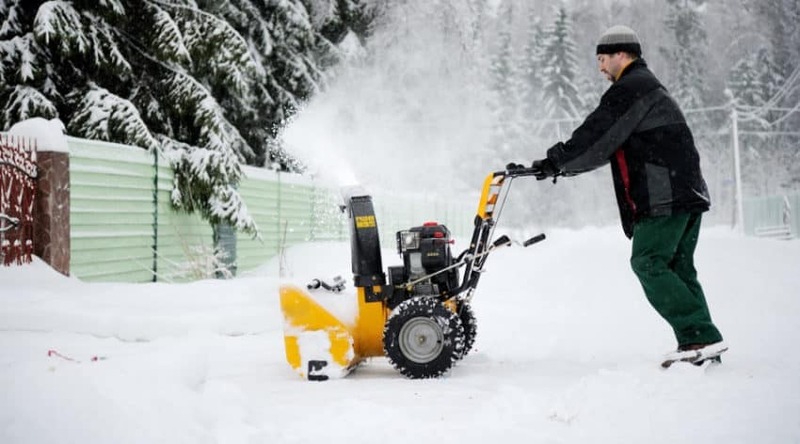 If you do not want the hassle of a gas powered engine maintenance, taking into consideration a powerful cordless option, such as the EGO Power Snow Blower, is well worth your time. Considered the most powerful electric blower in the current market, and comparable to a gas powered motor, the EGO Blower can handle up to 8 inches or more of new snowfall. With the wide 21 inch intake, remote chute control, and powerful auger control that can toss snow up to 35 feet, you can make short work of your long drive. If you have any questions about this product, or have used one, we’d love to hear about your experiences below. And, as always, please share!